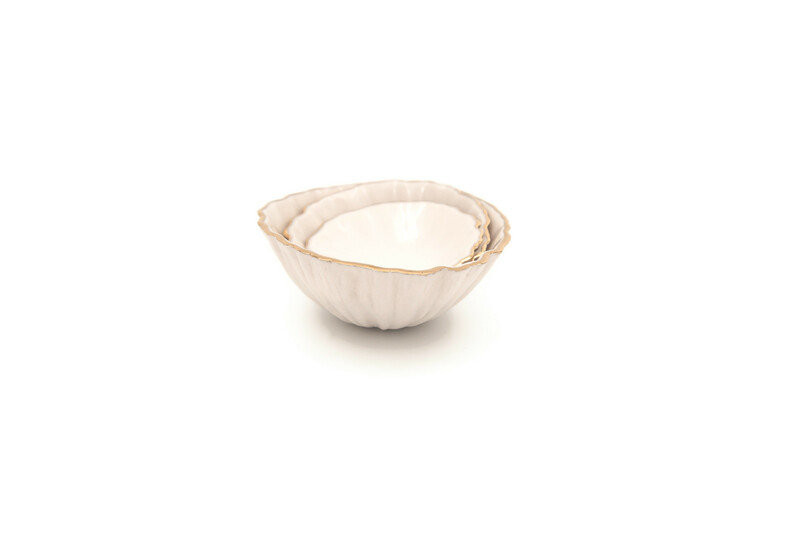 The Handmade Porcelain Nesting Bowl Set can be used as an elegant keep-all for all your delicate trinkets and jewellery. 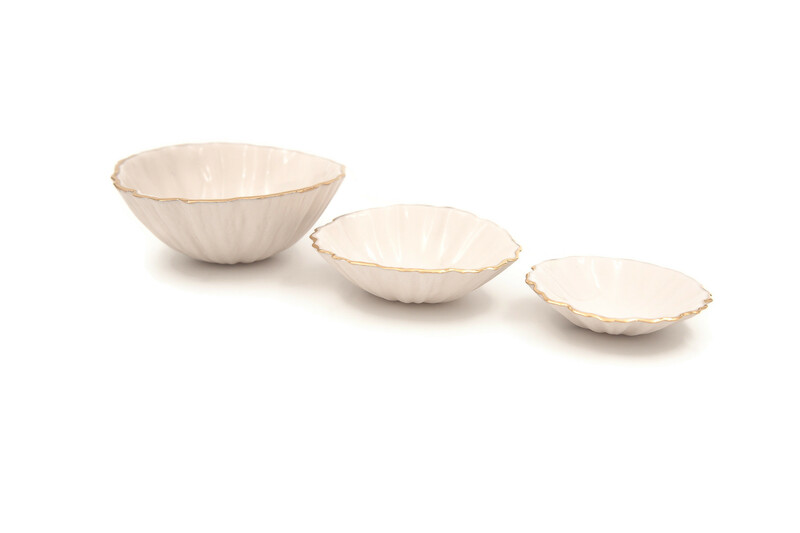 This set also works beautifully as little pinch bowls for when you need to add some extra seasoning to your dinner table. 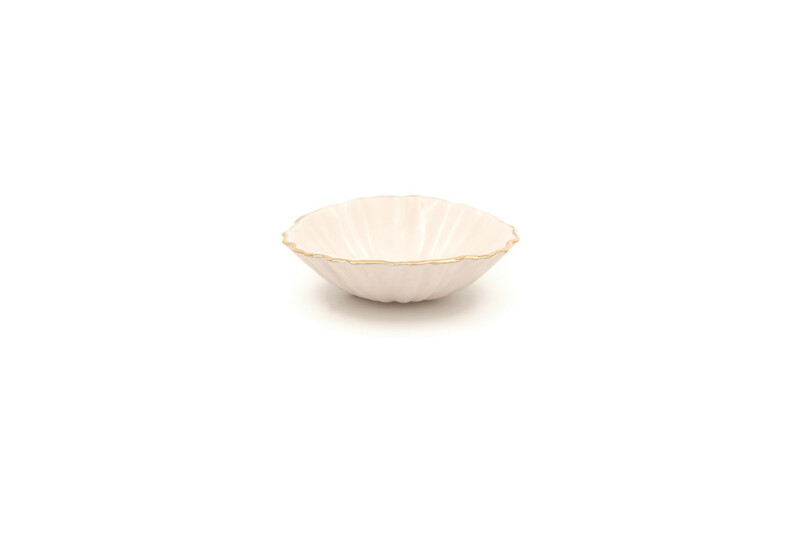 Inspired by the melone, its organic form accentuates the grace of the handmade touch. This sculptural pieces are meant to be delicately held and treasured. 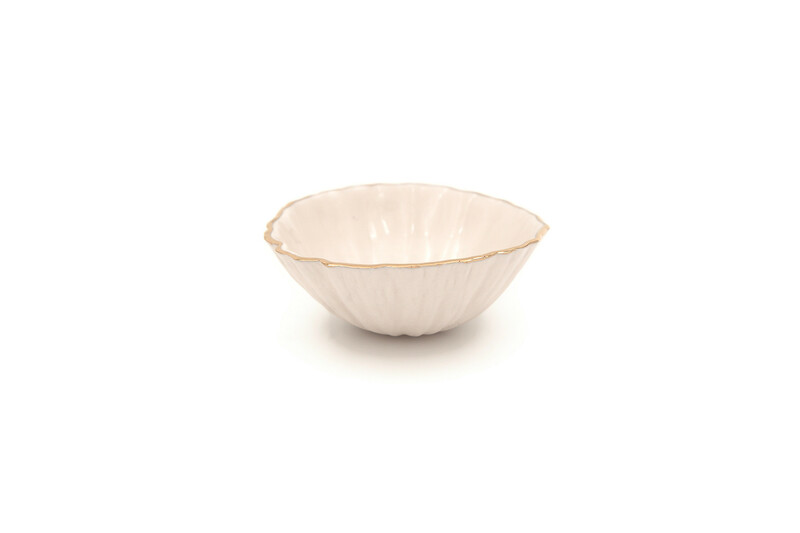 The irregular creamy porcelain with gold lustre on rim gives this South African piece a contemporary feel. 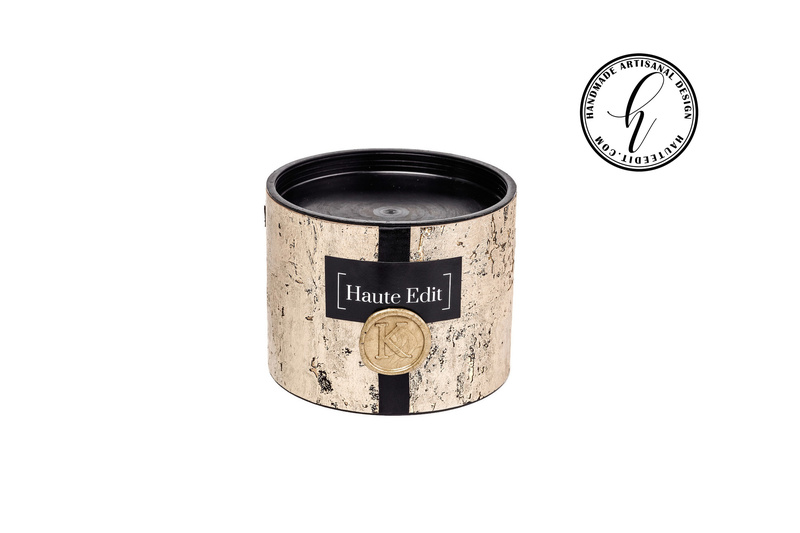 This set comes beautifully packaged in our exquisite Gift Box. *Disclaimer: Please be reminded that these products are all handmade and hand engraved. Therefore every piece is unique, and no two products are ever the same. Every range carries a similar theme, but there are subtly noticeable design variations which contribute to the uniqueness of each product. Collectible design is the term used to describe highly crafted design pieces that are either one-off or part of a limited edition. Art collectors prize and value original ceramic pieces delicately handcrafted by ceramicists for its uniqueness. Slight imperfections due to the handmade process should not be seen as defects. These imperfections contribute to the exquisite beauty and uniqueness of every piece.